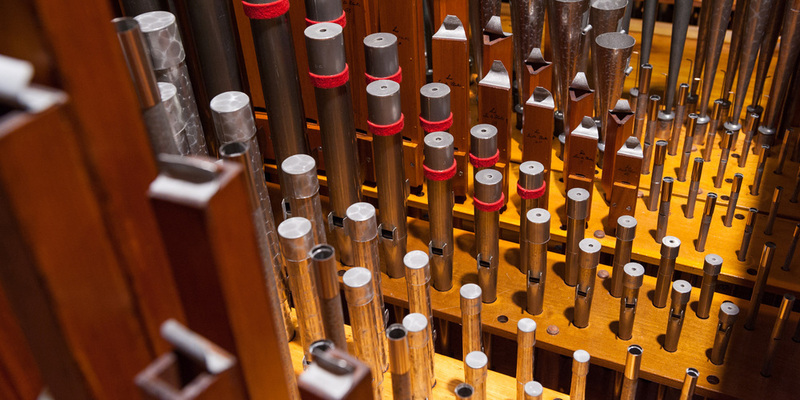 The A. Thompson-Allen Company offers a complete range of pipe organ services, including normal tuning and maintenance, as well as restoration and rebuilding of vintage instruments. Specializing in the restoration of instruments by the Skinner Organ Company and their successors, the Aeolian-Skinner Organ Company, we have also restored organs by Holtkamp, Kimball, Möller, Austin and Harry Hall. We invite you to explore our website, which not only describes the services we perform as well as the instruments we have restored, but also features other bits of interest as well. Thank you for checking us out! Announcing the Restoration of Opus 736!